This video represents 29 years of blood, sweat, and tears . .. . 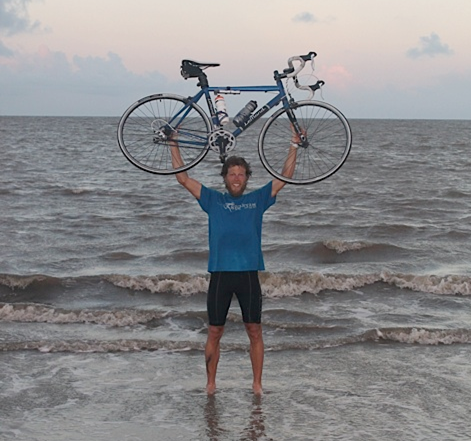 Completing this 19 day journey across America drew from a lifetime of experiences and training. It took every ounce of strength in my body and every inch of drive in my heart. It was the single most difficult thing I’ve ever done, and it changed my life forever. My greatest hope and prayer is that, in some small way, it may impact yours as well. Dream Big ! I’ve been asked a lot of questions in my short time home, but one question seems to come up more than any other . . . “What do you think about during your long hours of solitude?” While I usually respond with some saintly answer like “solving the world’s problems”, the truth is I’m usually just counting mile markers or humming along to a Justin Bieber tune. However, once in a while when I’m not careful, my mind does slip off into something semi-deep. I’m not sure what inspired it, but somewhere in Texas I found myself fixated on the connection between passion and purpose. It probably goes without saying, but one of my greatest passions in life is biking. I don’t know why, but for some reason the simple act of pedaling through distant lands excites me like nothing else. It amazes me how such a simple device can carry me such great distances utilizing nothing more than my own feeble strength. While trivial in nature, this simple passion has given me a greater sense of purpose than almost anything else in recent years. It’s lead me to believe that there are no trivial passions. Whether it’s music, technology, or fashion design, I believe all true passions are God-given and intended to be used for his glory. It may not always make sense at the time, but I’m convinced that the purpose of our passions will eventually be revealed if we’re faithful in developing them and also surrendering them to the Lord. 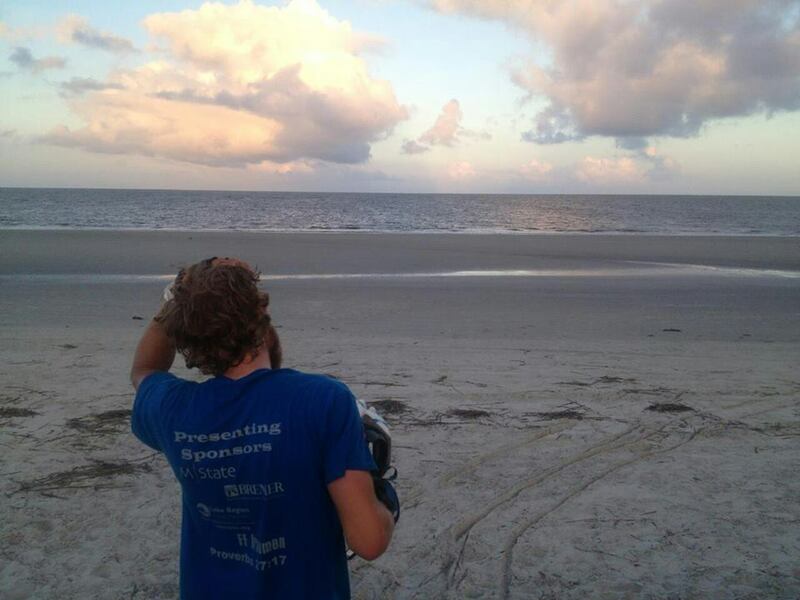 Nothing is more rewarding in life than finding purpose in our passions. Colossians 3:17 says “And whatever you do or say, do it as a representative of the Lord Jesus, giving thanks through him to God the Father.” Even in the most exhausting moments of my journey, I still felt incredibly blessed. I am forever indebted to the many people who gave such deep and meaningful purpose to this slightly crazy passion of mine. My desire is that others will be able to find purpose in their God-given passions as well. This is my revelation, and this is my prayer for you. Thank you so much for following me on my journey. Dream Big Tour Update ! Hey Everyone ! I’m sorry that I haven’t been able to upload my daily video updates. Unfortunately, public WiFi is not very conducive to this. As a result, most of my updating has been on Facebook. Feel free to search me and add me as a friend. Just search “David Jensen (from Fergus Falls)”. Here’s a recap of the last 5 days. Thank you so much for all the encouragement and support. Hi Everyone ! 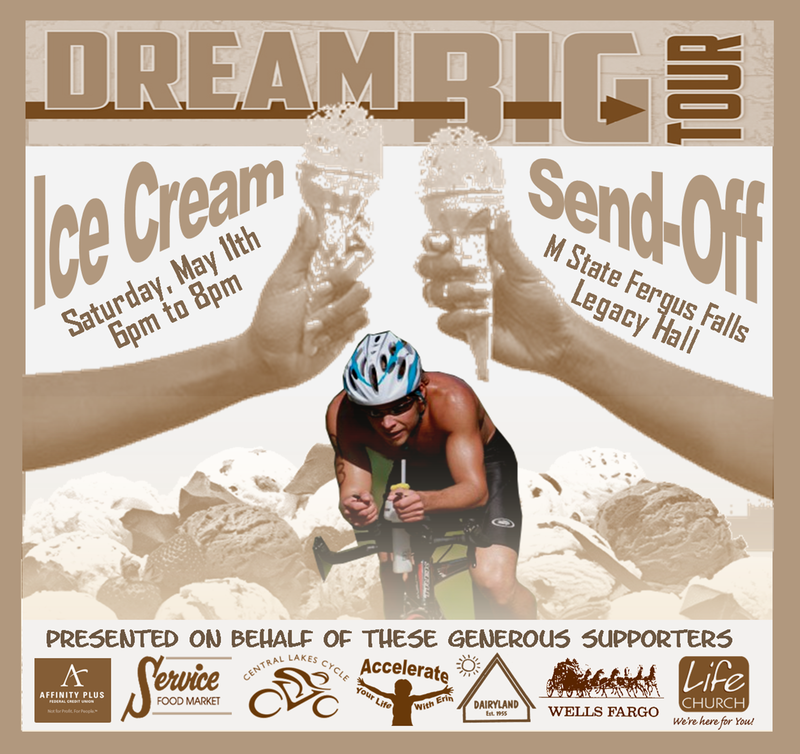 With just a few days to go, it’s time to party… Join me for a time of ice cream and fun as we kick of the Dream Big Tour. Feel free to swing by M State Fergus Falls anytime between 6pm and 8pm on Saturday, May 11th to take part in this celebration. Just come in the main doors, which are located across from the bowling alley. This event is FREE and open to the public. We are currently at 65% of our goal, and I am confident that we’ll hit $20,000 before I reach the Atlantic Ocean. I will be sharing briefly about the journey at 7pm. I will also be thanking the many generous supporters who’ve helped make it possible. Hope to see you there ! ! ! 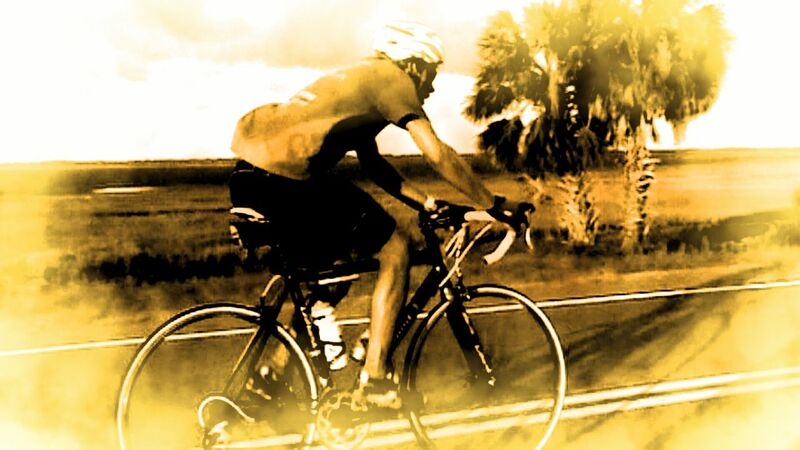 On a cool crisp April day, a group of cyclists set out to complete what I first attempted three months ago – a century ride around legendary Lake Alice. However, the end result was very different this time around. Is my bike up to the challenge? 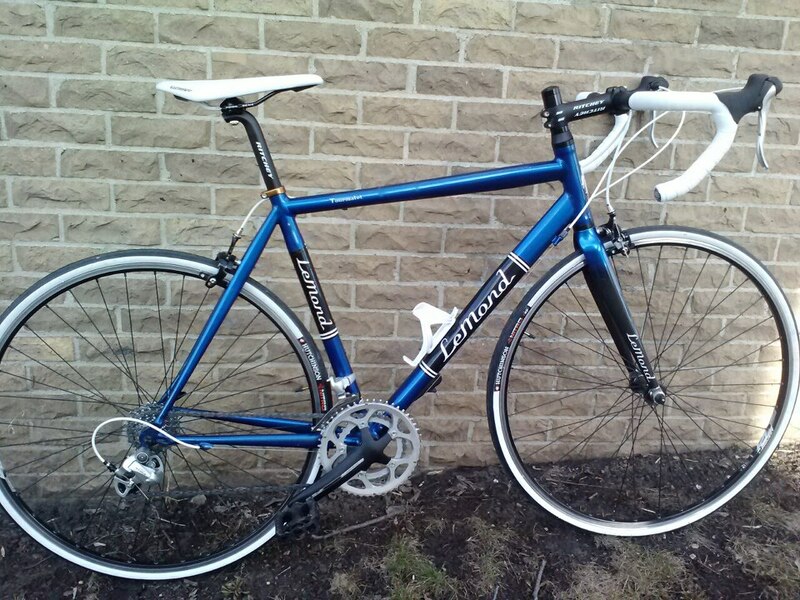 This once-decrepit road bike I purchased last Summer will soon be carrying me across America. I took it out on its maiden voyage this morning, and I had to laugh at that slight twinge of saddle discomfort I felt after making my three mile commute to work ….